Htc Desire 12 Plus Price In Bangladesh. Htc Desire 12 Plus is mostly similar to the Desire 12, but with a few key differences. It comes along with a 6-inch IPS LCD display with the same 720×1440 resolution. A Snapdragon 450 chipset clicks alongside 3GB of RAM, while users still have less than 32GB of native storage at their fingertips. The real intriguing selling point of the larger device, however, is its dual rear camera that consists adds a 2MP depth-sensing camera to the regular 13MP f/2.2 unit and lets you snap portraits with a shallow depth of field or “bokeh” in layman’s terms. At the front, the selfie camera grows to 8MP and now has a f/2.0 aperture for better low-light selfies. All information is collected on their website. 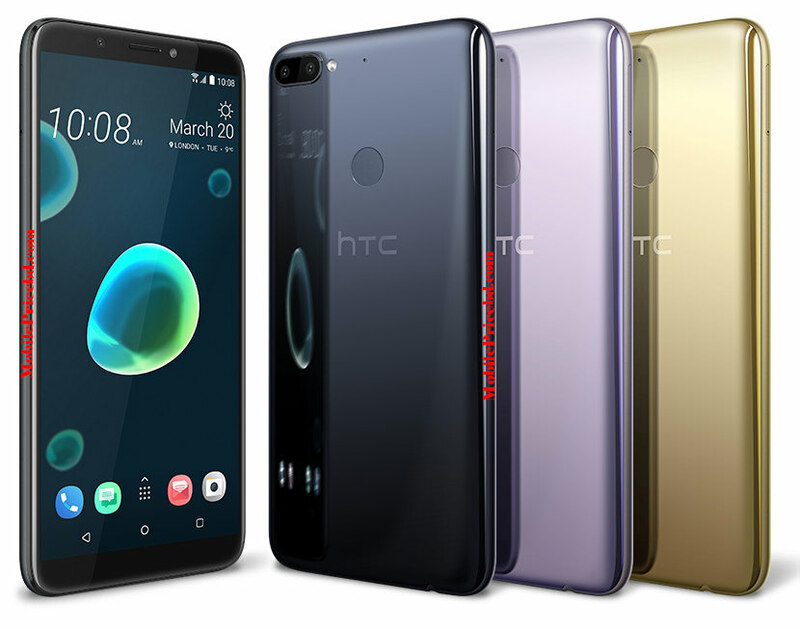 Htc Desire 12 Plus smartphone launched on 19 March 2018. The phone comes with a 6.0-inch 18:9 ratio Full-View, IPS LCD capacitive touchscreen display with a resolution of 1080 pixels by 720 pixels at a PPI of 268 pixels per inch. It measures 158.2 x 76.6 x 8.4 mm (height x width x thickness) and weigh 157.00 grams. 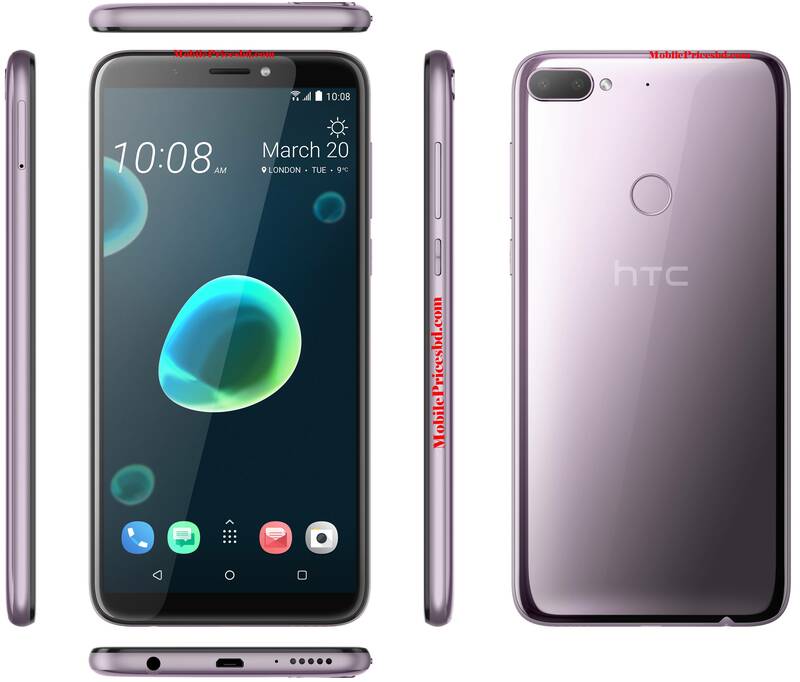 Htc Desire 12 Plus is a Dual SIM (Nano-SIM, dual stand-by) (GSM). Connectivity options include Wi-Fi, GPS, Bluetooth, 3G, and 4G. Sensors on the phone include Sensors Iris scanner, fingerprint (rear-mounted), accelerometer, gyro, proximity, compass, and barometer. 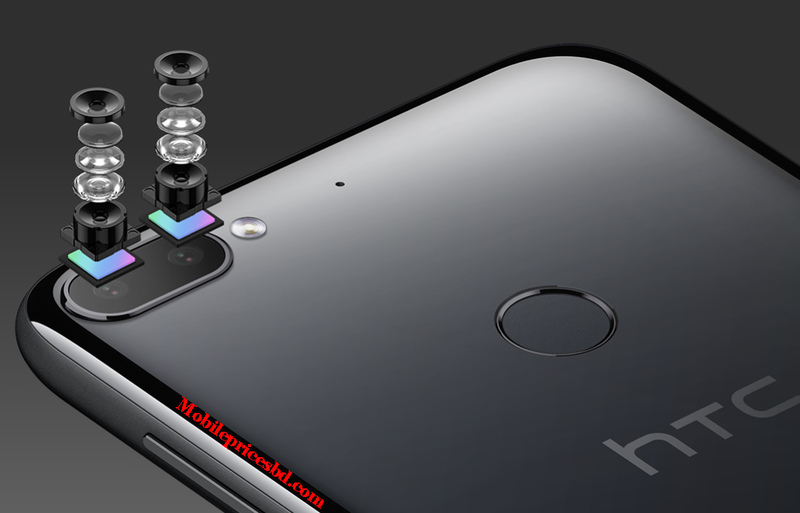 As far as the cameras are concerned, Htc Desire 12 Plus packs a 13-megapixel + 02-megapixel Dual primary camera with LED flash on the rear and a 08-megapixel camera for a front shooter for selfies. Htc Desire 12 Plus is powered by Octa-Core 1.8 GHz. Cores Quantity 8. Htc Desire 12 Plus comes with 3 GB of RAM. The phone packs 32 GB of internal storage that can be expanded up to 400 GB via a microSD card. Htc Desire 12 Plus is powered by a 2965 mAh Li-Ion (Lithium Ion) non-removable battery. 08-megapixel camera autofocus, dual video call, gyro EIS, Auto HDR, 1080p, auto face detection, face beauty, HD video rec. This Htc Desire 12 Plus is a flagship Smart Phone from Huawei mobile company .Now Htc Desire 12 Plus is available in Bangladesh mobile market from 19 March 2018.